Sun Yat Sen Pak featuring Victorian-style greenhouse, an aviary, flower garden and winding walkways is one of the highly recommended places to visit in Macau. Located in the northwest of Macau Peninsula, the park is one of the 43 Sun Yat Sen Parks in the World. Spread on an area of about 17.3 acres, the park is one of the largest parks on the Macau Peninsula. Major attractions at the park include a bronze sculpture called "Permanent Handshake" that represents the friendship between Portugal and China and Fung Shui forest of trees that is believed to bring good luck. For providing recreation to the visitors, Sun Yat Sen Park features a swimming pool, multi-purpose sports field and a playground for children. There are several high points at the park that offer excellent views of the surrounding areas. 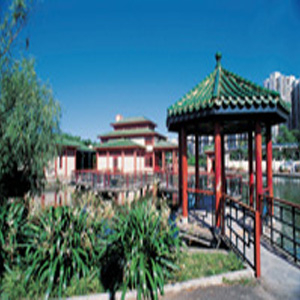 Here's the our members favorite photos of "City Parks in Macau (China)". Upload your photo of Sun Yat Sen Park!